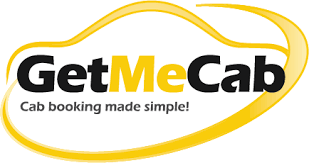 GetMeCab has made car booking simple and fast. You can get any kind of car that your want to go on a ride for with your family or loved one. Just choose any type of car and if its budget-friendly then book it online hassle-free and ride around the city to explore museums and beautiful destinations. Avail up to Rs. 1000 off on all trips in India from GetMeCab. A coupon code is required! GetMeCab offers up to Rs. 500 cashback on all trips from GetMeCab. To avail the discount, you need to apply the discounted coupon code at the time of booking. Hurry Up! Get up to Rs. 150 off on all round trips from Ahmedabad, Chandigarh, Jaipur, Lucknow, Kochi and Varanasi with GetMeCab. Avail the deal now before they expire! Book Delhi-Agra tour package starting at just Rs. 5499 by GetMeCab. Get it now and make sweet memories. Book it now!